Monday afternoon, Belmont students, faculty and neighbors got to experience a once-in-a-lifetime astronomical event. 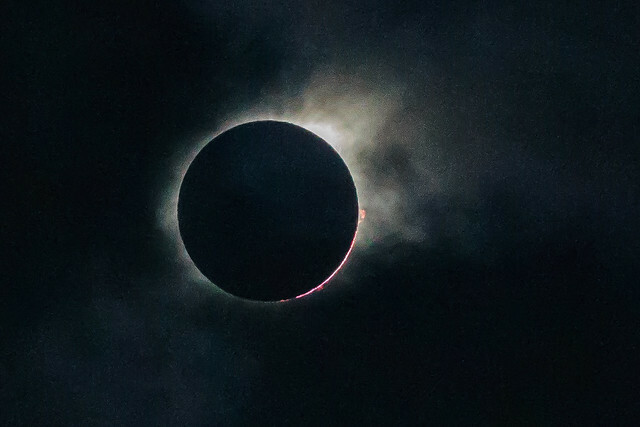 Nashville was in the path of totality for Monday’s eclipse, which was the first time Nashville experienced a total solar eclipse since July 29, 1478. To celebrate the event, Belmont orchestrated a solar eclipse viewing party, where they handed out 10 thousand solar eclipse glasses. An hour before totality, the entire lawn was covered with students, faculty, parents, neighbors and students from Metro high schools. Dean of the College of Sciences and Mathematics Thomas Spence spoke about the eclipse as it happened and explained what the giant crowd was looking at, Sodexo handed out popsicles and Belmont blasted an eclipse-themed playlist. Cheers arose from the giant crowd as the moon moved over the sun, beginning totality. A large cloud loomed over the eclipsed sun for a moment, but fortunately didn’t cover the sun for the entirety of the eclipse. It was a great event for an unforgettable moment of history. Click here for a breakdown of our eclipse time lapse.